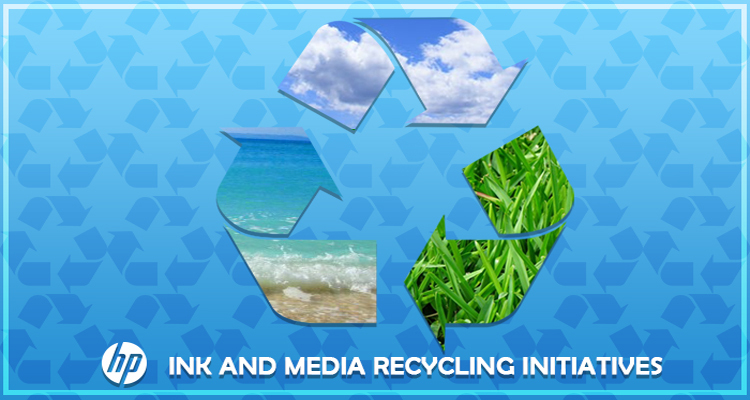 There are several ways that HP makes it easy to reduce the environmental impact of wide-format printing. HP has been involved with product recycling for more than 25 years and utilizes the materials in a “closed-loop” process, which means cartridge materials returned are transformed into raw materials used in the production of future cartridges. In 2017, HP included the use of recycled plastic and polypropylene in the creation of new original HP ink cartridges, which has had a significant reduction in overall environmental impact. Whether you are participating in the HP Supplies Recycling or the “Cash in Trade up” programs, HP has made it easy for you to recycle some of your most frequently purchased products, which means less waste piling up and more raw materials available for the production of new products. If you have questions about these recycling initiatives or other available certified HP media, call 800-453-9538 or visit LexJet.com. In recent weeks, Nebraska was devastated by flooding, with thousands of acres of farmland under water. Florida farmers know what kind of damage Mother Nature can bring, so Sarasota, Fla. cattleman, Chris Egolf, and some friends decided to help. “We knew we needed to get the donated supplies to Nebraska,” Egolf says. 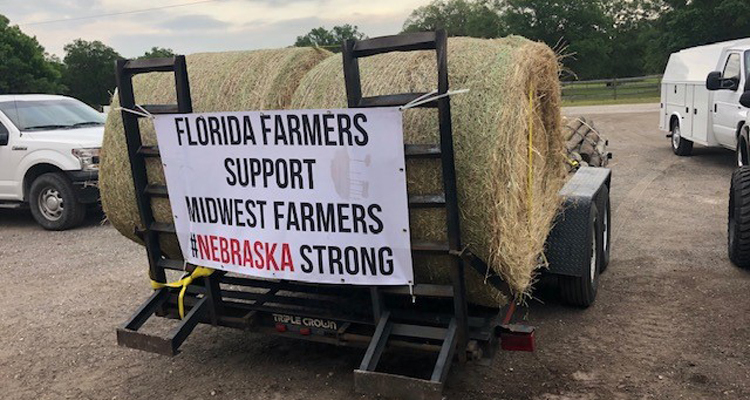 “As fellow ranchers, farmers and Americans, we wanted to help as much as we could.” Donations consisted of 48 round bales of hay, 8,500 pounds of cattle cubes and feed, 200 fence posts, and 18 rolls of barbed wire and electric fence supplies. The group loaded up one tractor-trailer, a gooseneck trailer, and another flatbed trailer and headed out from Sarasota to Elkhorn, Neb., a 3200-mile, 52-hour round trip. “We went straight up and back to be at work Monday morning,” Egolf says. Egolf decided to have some banners made in support of “Nebraska Strong” and to decorate the trailers for the long drive. Bryce Montisano, a team leader at LexJet, heard about the supply run and donated some banners printed on LexJet TOUGHcoat ThriftyBanner. 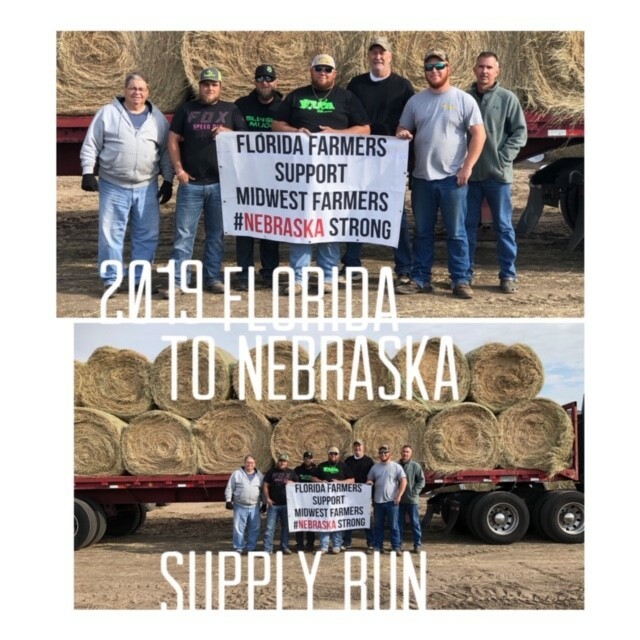 Thanks to all those who donated and participated in the 2019 Nebraska supply run. 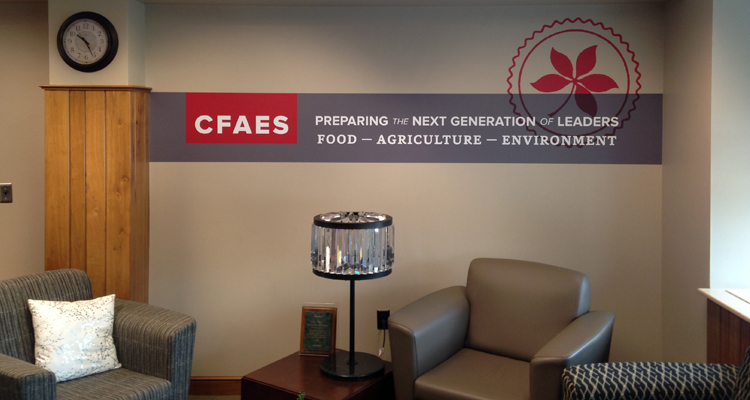 If you’d like to learn more about the durability of ThriftyBanner, give us a call at 800-453-9538 or visit LexJet.com. Debbie Dennison and the team at GeoJango Maps in Pleasanton, Calif., have one mission: to help people learn more about the world. As a former employee of SOCOM in Tampa, Fla., and Livermore National Lab in California, Dennison is well trained in the art – and science – of mapmaking. With master’s degrees in Geographical Information Systems (GIS) and Environmental Science, Dennison decided to take her passion for maps and share it with the world. Having valuable information at hand is not the only thing that’s important to Dennison. “The quality of a product is paramount. We need to be consistent with our products and make sure that materials are available and easy to get. As a growing company, it matters how people perceive and review our products,” she says. 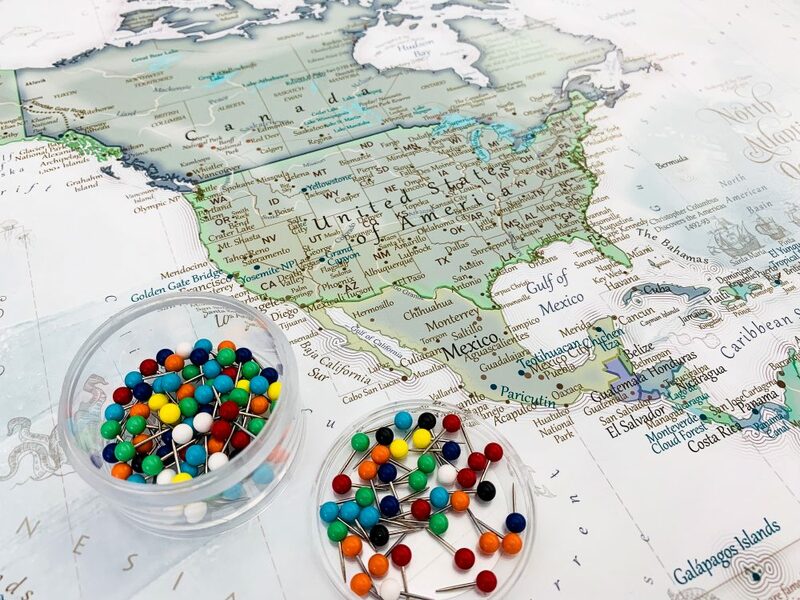 Dennison refers to her maps as a “happy purchase.” “When people buy a map, they do it because they want to learn more about the world, or they have a bucket list,” she says. The US maps include national parks and historical places so adventurers can plan and track their trips. 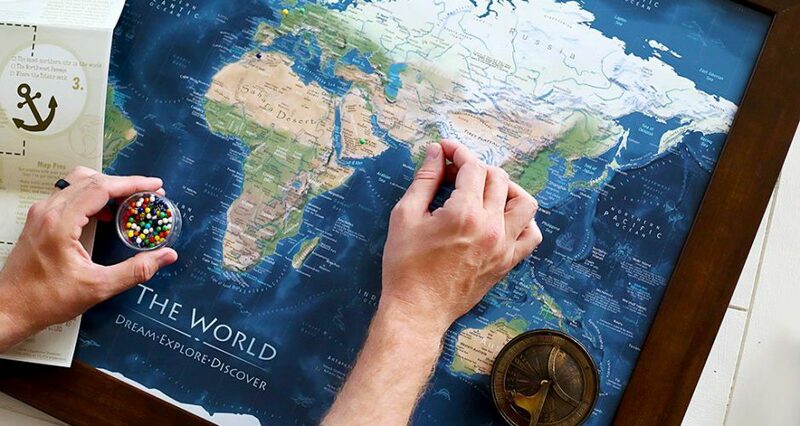 The world maps are perfect for children who want to learn about global locations, events and facts. 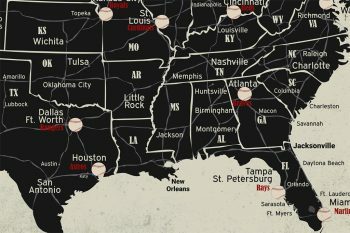 What is unique about some of their maps is that they are “push pin,” which allow kids of all ages to trace where they’ve traveled across the country, around the world or even which sports stadiums they’ve visited. With these maps, there is no glass protecting the image and Dennison says the ink and paper are critical ensuring the integrity of the map, even without protection. After extensive testing, the team at GeoJango chose HP Everyday Instant-dry Satin Photo Paper as the media for all roll-up maps. If you are interested in learning about new products for your business, please call a LexJet sales specialist at 800-453-9538 or visit us at LexJet.com. 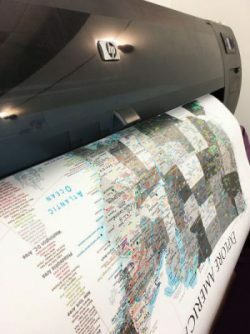 Tyler Birch of Atchley Graphics in Columbus, Ohio, was browsing the LexJet website looking for an alternative to his current vinyl and laminate solution that would still be compatible with his Latex 360 and 570 printers. That’s when he found the HP Prime Gloss Air GP. “I called Dave [Grotkiewicz], my LexJet sales representative who is very knowledgeable and helpful, especially with new products. We discussed the product and he sent me a roll to try,” Birch says. Birch wears multiple hats at Atchley — “As a press operator, I knew the product was doing its job, just like Dave told me it would,” he says. 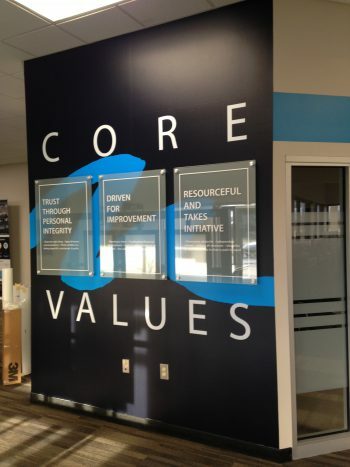 Not only has the new HP Adhesive Vinyl line helped Birch improve his output, but it also helps ensure his customers are benefiting from the increase in image quality and the decrease in cost. “HP Prime Air really helps us provide value to our customers and at a price point that makes us competitive, which is great since we are a small shop,” he says. With many more projects lined up, Birch is excited to try other products as well, including HP Optimal Gloss Air GRP – a high-performance product that offers a gray repositionable adhesive – and the new Prime Matte Air GR, which offers a gray removable adhesive. To learn more about the HP Adhesive Vinyl products, visit LexJet.com or call one of our sales specialists at 800-453-9538 to find out which solution is right for your next project. Are you on the hunt for a new printer or cutter? Check out these rebates from HP, Canon, EPSON and Graphtec. Not sure which printer is right for you? 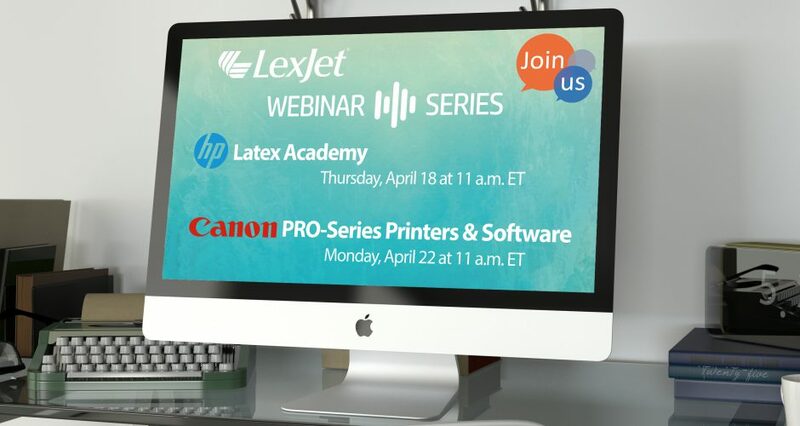 Hop on one of the free webinars for HP Latex or Canon PRO-Series or read more out about different applications for aqueous, latex and solvent printers on the blog. 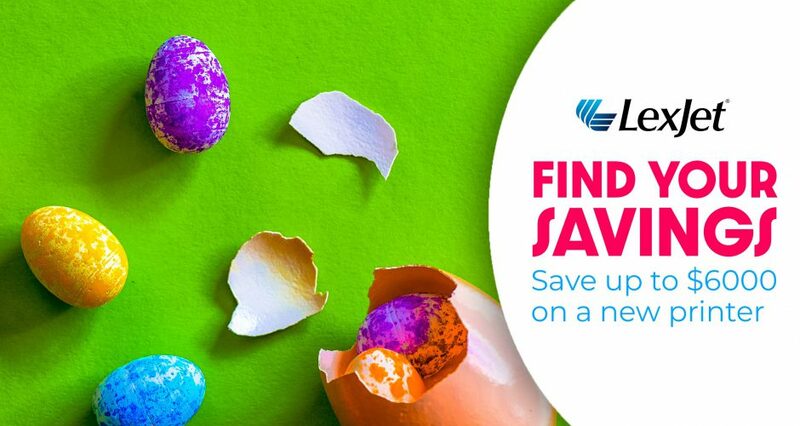 This month’s rebate highlights include: Save up to $3,000 instantly on an EPSON F-Series; get $500 cash back on a new HP Z6 or Z9+ 44-in printer with vertical trimmer; Canon is offering up to $1,000 instant savings on imagePROGRAF PRO-Series; mail-in rebates available on select Graphtec cutters. There’s no need to hunt down your next printer! Hop on one of our free webinars to help you decide which printer is right for you. John Stevens, HP’s leading Latex specialist discusses the benefits of latex technology. Pete Wright, Canon expert, and award-winning photographer, discusses the imagePROGRAF PRO-Series printers and applications. Attend the webinar and receive additional savings with the purchase of a qualified printer. Space is limited, so sign up for one — or both! — today. Sign up online or call one of our printer specialists at 800-453-9538 for additional information.